OLD PARKED CARS. 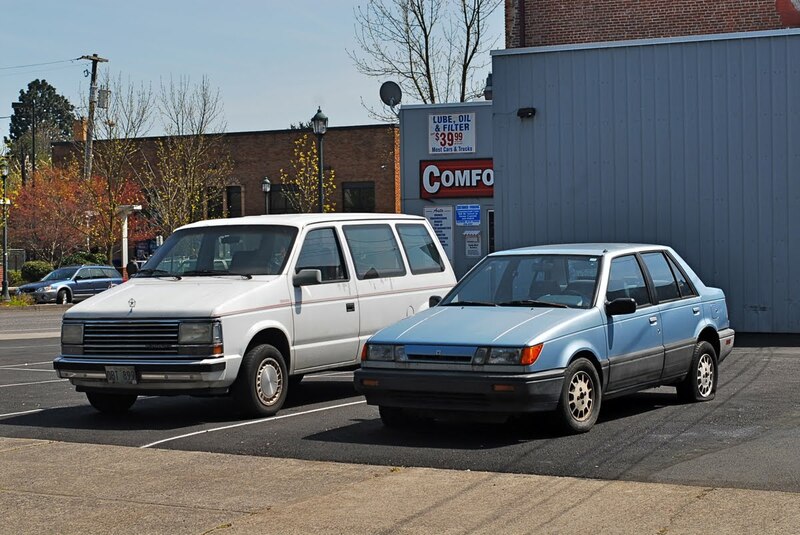 : Unforgettable Pair: 1988 Isuzu i-mark and 1990 Plymouth Voyager SE Turbo. 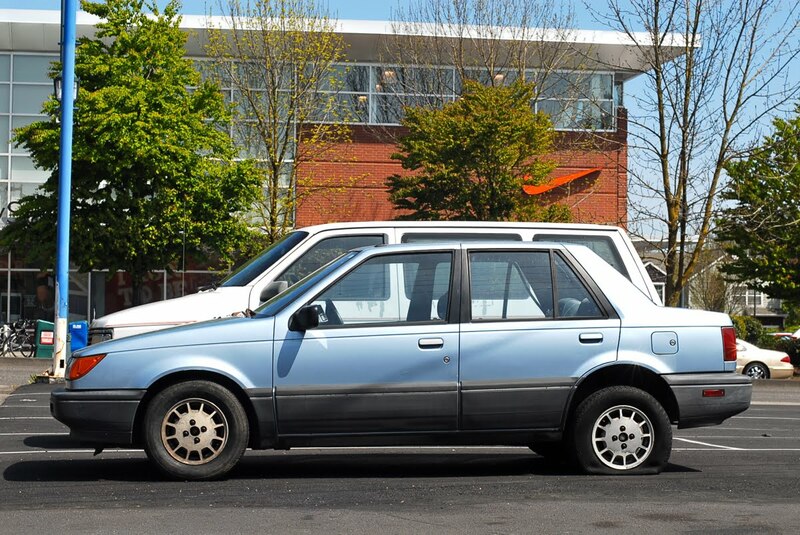 Unforgettable Pair: 1988 Isuzu i-mark and 1990 Plymouth Voyager SE Turbo. This I Mark looks much better than the last one posted. A minivan with a turbo? Lee Iacocca was quite the radical thinker. 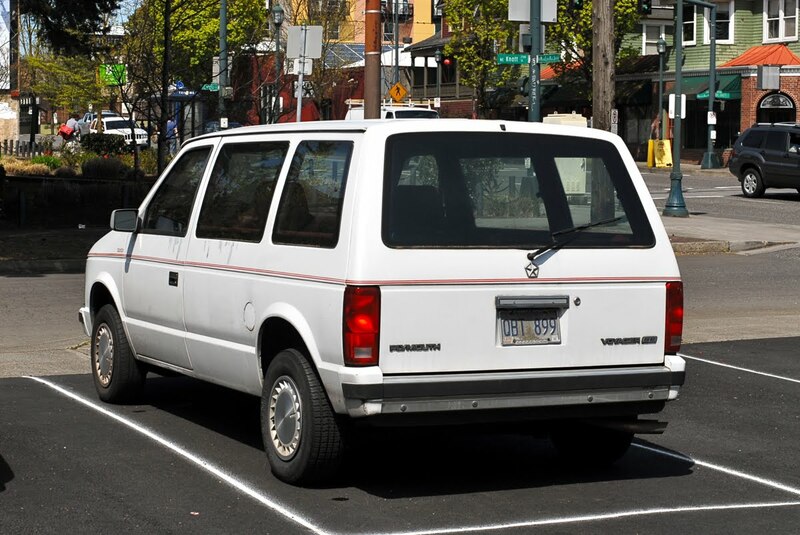 I hate mini vans but I'd rock this one only because of the red pinstripes. 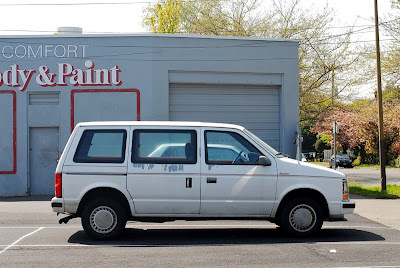 at first i thought these were rotting away in the nike factory store parking lot, which would have been funny. 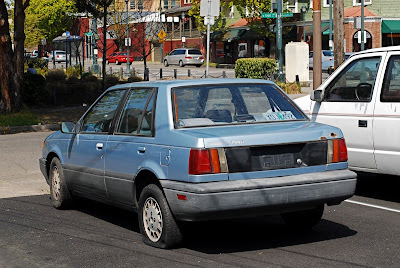 but the idea of somebody paying for bodywork is even funnier. so i guess there is another i-mark of this generation on earth, and it happens to be in portland. btw, i am all about minivans (photographing them, not driving them), and am pleased to see that you thought this one was worthy. 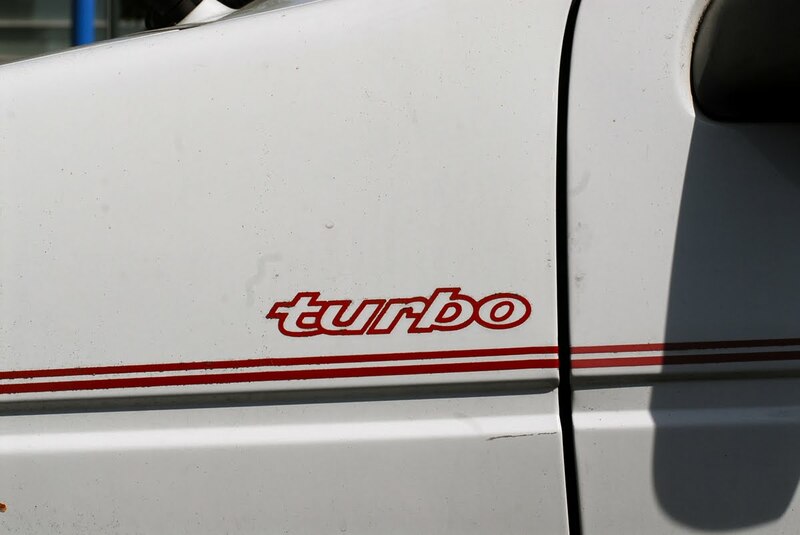 i'd've been tempted just by its boxy face, not to mention the turbo. yeah, gonna ramp up the minivans on opc. prepare thyself.